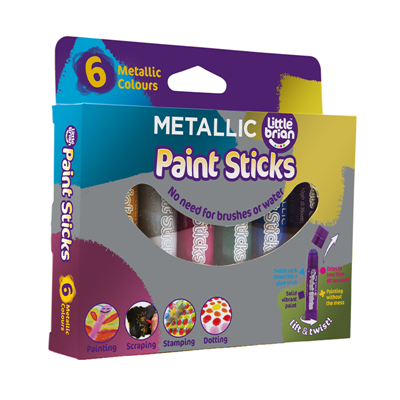 Super silky solid paints in strong vibrant classic, metallic and fluorescent colours. 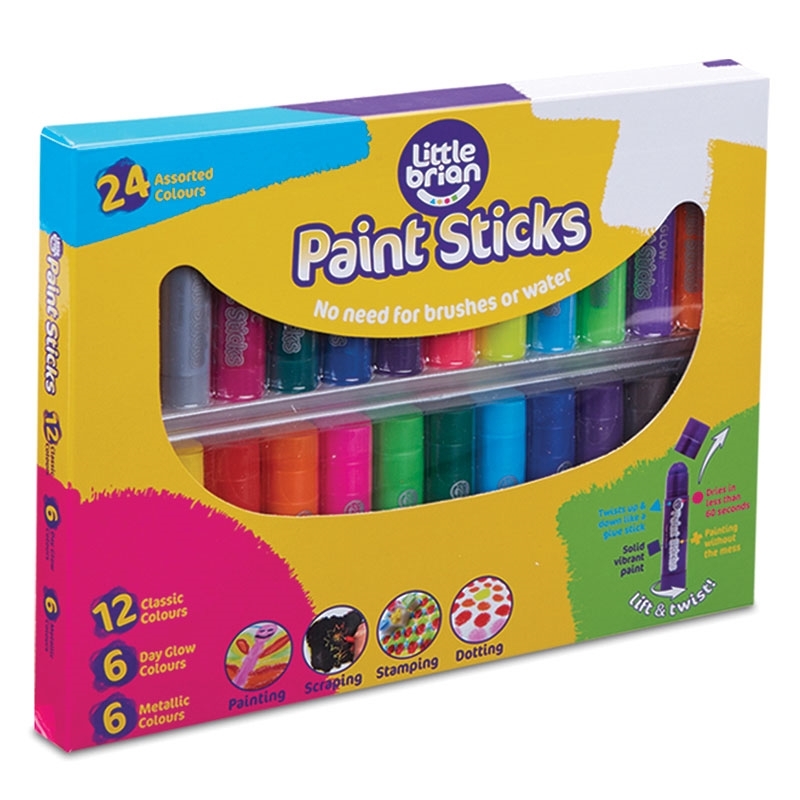 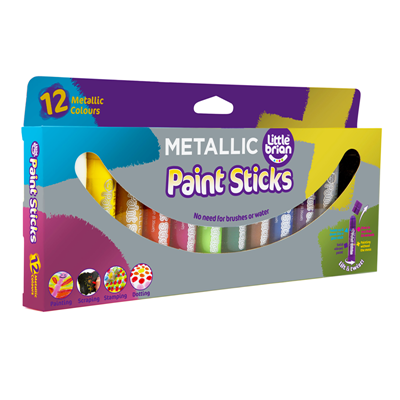 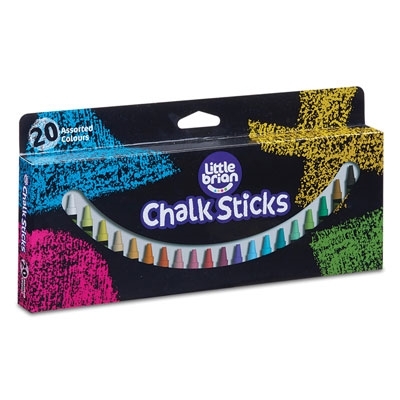 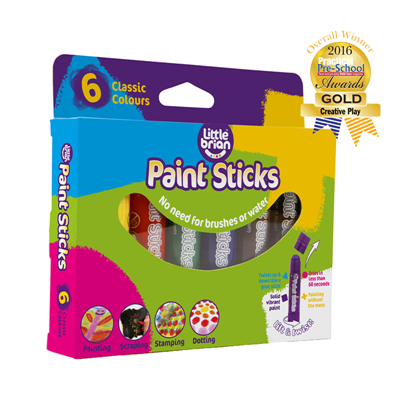 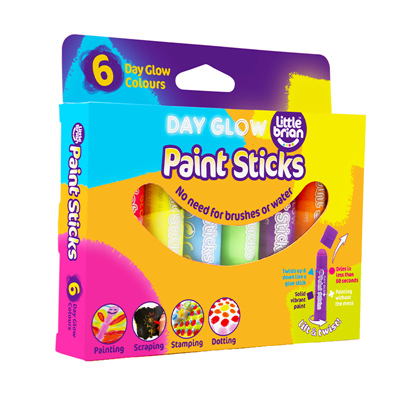 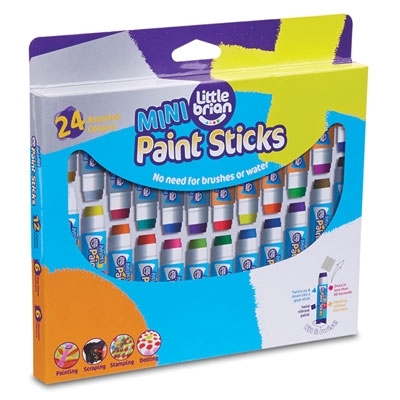 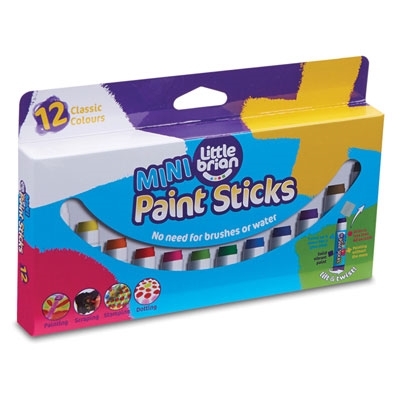 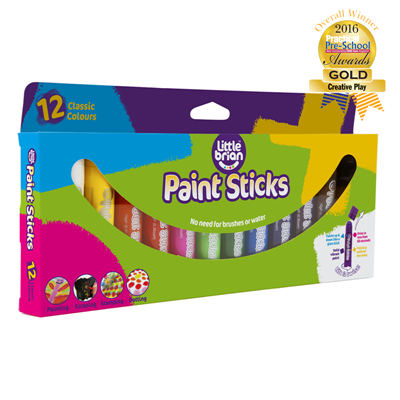 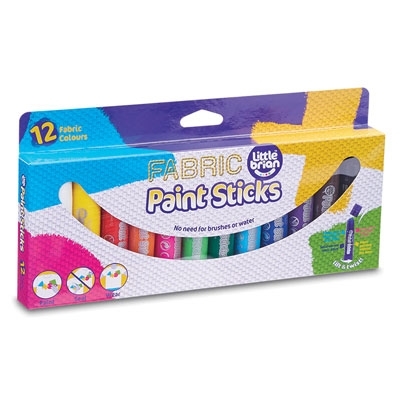 The 24 pack Paint Sticks set contains the classic, day glow and metallic colours to start creating your own works of art. 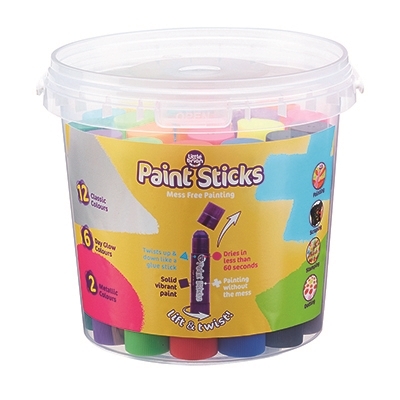 Just like a glue stick, these paints feature a stick inside that turns up or down. Draw lightly on the surface for a crayon effect, and press down harder to see it become paint. 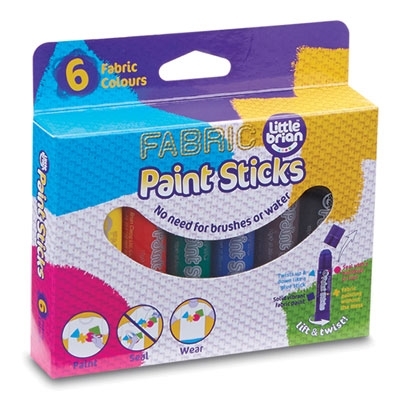 Experiment with different effects and create watercolour pictures by gently brushing water over the picture.